Congenital anomalies, commonly referred to as Birth Defects, are some of the most common causes of deaths during the neonatal period, causing over 300,000 deaths every year, worldwide, within the first 4 weeks of birth. Heart defects are the most common congenital anomalies claiming thousands of lives every year. 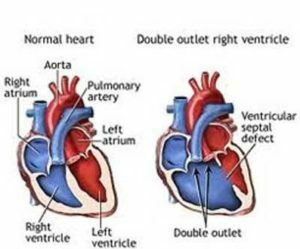 Congenital heart defects are problems that are present at birth and affect the heart’s structure- its walls, valves, arteries or veins- thereby, affecting how it functions. There are several types of heart defects, however, congenital heart disease is the most common heart defect. The majority of heart defects have no known cause but there are risk factors that increase the risk of a baby being born with a heart defect. Some of the risk factors are rubella, smoking and taking certain medications during pregnancy. Some heart defects are so small that they do not require treatment; however, most of them need medication and/or surgery. The 14th of February every year is set aside to raise awareness and educate people on congenital heart defects. We at International Medical Treatment Ltd |(IMT) take this opportunity to inform you about some of the advanced treatments for heart defects offered at our partner hospitals around the world, in Thailand, India, Dubai, and Turkey, among other places. The Heart Centre at one of our partner hospitals in Bangkok, Thailand has one of the most comprehensive surgical and nonsurgical multidisciplinary cardiac centres in Asia. The Bumrungrad International Hospital, Heart Centre, won Cardiology (Heart) Service Provider of the Year in 2018. The centre takes a holistic approach to heart health including early detection, diagnosis and treatment of a range of heart conditions. The hospital has the newest cutting-edge technology being one of the hospitals in Asia that offer aortic valve repair through Transcatheter Aortic Valve Implantation which is a non-surgical approach to performing valve repair. It has a multidisciplinary team of highly trained specialists including subspecialists such as paediatric cardiologists, cardiac rehabilitation professionals, medicine-based doctors, endovascular specialists and heart surgeons most of whom have studied in the US, UK and Canada. Electrocardiogram (EKG): The heart’s electrical activity is recorded using electrodes that are placed on the chest and connected to the ECG machine through cable. Echocardiography: This test provides live images of the heart using soundwaves allowing a doctor or specialist to monitor how the heart and valves function. Coronary Artery Bypass Graft (CABG): It is a heart surgery in which a blocked coronary artery is bypassed using a blood vessel graft restoring normal blood flow to the heart. Pacemaker implantation: A pacemaker is a small electronic device placed in the chest to regulate the heart’s arrhythmia (irregular heartbeat). The device is placed in the chest or abdomen and works by sending electrical impulses from the pulse generator to stimulate the heart to contract and produce a heartbeat. Transcatheter aortic valve implantation (TAVI): This procedure is done to treat severe aortic stenosis by inserting a catheter into the aortic valve after which a balloon is inflated within the catheter, placing pressure on an artificial heart valve which will replace the existing aortic valve. Valvuloplasty: It is done to repair a heart valve that has a narrowed opening due to thickening or stiffening of the valve causing stenosis. Left Atrial Appendage (LAA) Closure using watchman: The WATCHMAN device is a parachute-shaped, self-expanding device that is implanted through the skin to close the left atrial appendage located in the muscle wall of the atrium. This procedure does not require surgery. Balloon Angioplasty: In this procedure a balloon is used to open blocked or narrowed blood vessels. Exercise stress test: This test is done to determine the risk of heart disease or acute myocardial infraction. The test is done while the patient is exercising, and the data is collected through electrode patches which are placed on the chest to measure the heartrate and heart rhythm through wires that are attached to the electrocardiograph monitor. Tilt table test: During this procedure, the patient lies flat on a special table-bed with a footrest and safety belts after which the patient is put on IV. Electrodes can also be placed on the patient’s chest which are connected to an electrocardiogram monitor with wires. The table is moved vertically once or twice, and the patient’s symptoms are monitored. Some heart conditions can be fatal if not treated and therefore, getting high-quality medical treatment is crucial. Consider the Bumrungrad Heart Centre, an award-winning cardiology centre that treats even complex heart defects. Contact IMT today to find out more about the hospital and get a treatment plan from some of the best cardiologists in the world. Click the button below to find out more about the different treatment options offered at Bumrungrad International Hospital. We, at International Medical Treatment (IMT), are experienced facilitators who can link you with some of the best cardiologists in our partner hospitals in India, Dubai and Thailand.